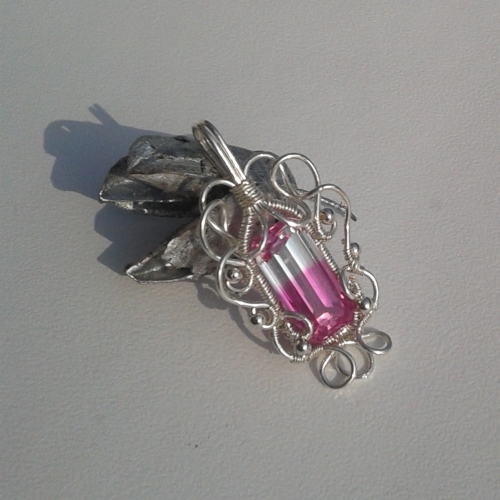 Beautiful emerald cut pink & white Ametrine stone (20.10 carat) IF- Internally Flawless/Very high quality. Stone measures 19.9(L) x 10(W) x8.6(D)mm. 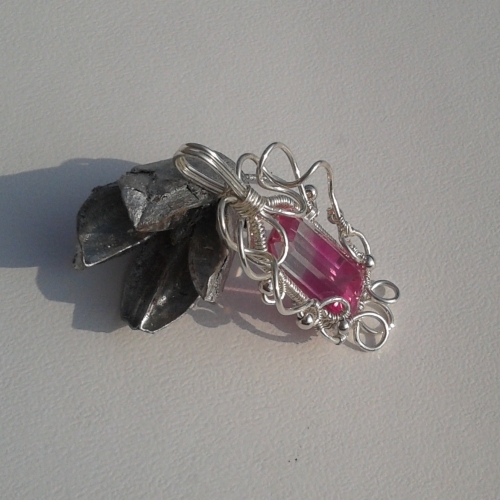 This stunning stone has been carefully wrapped with spirals and swirls of wire to create a truely unique piece. 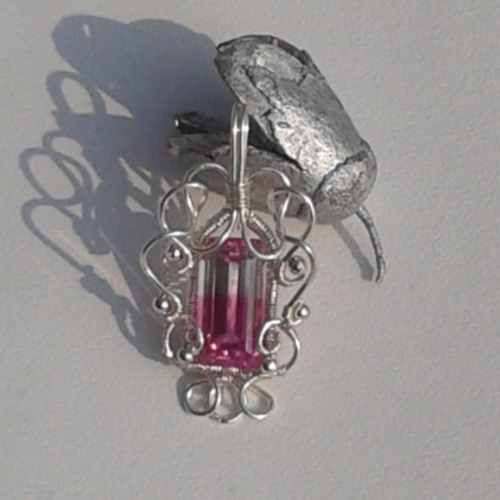 Pendant size 50 x 25 x 10mm. 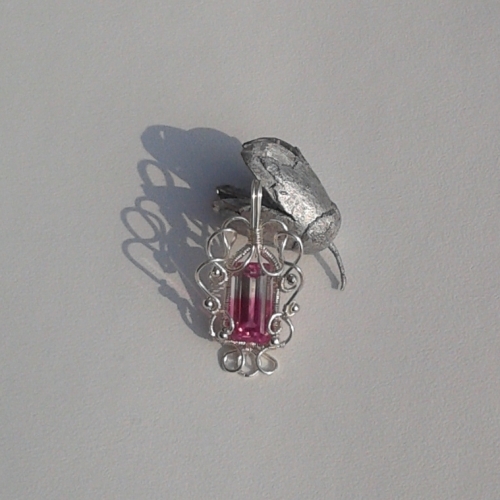 Handmade using anti-tarnish silver plated wire.